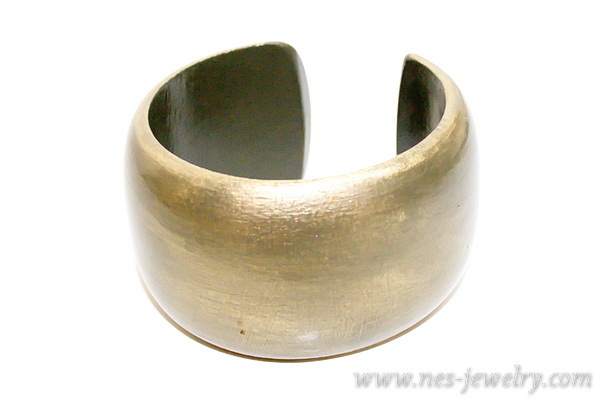 Wooden bangles are usually large and bold; they are ideal for your boho-chic style or for playful beach parties. 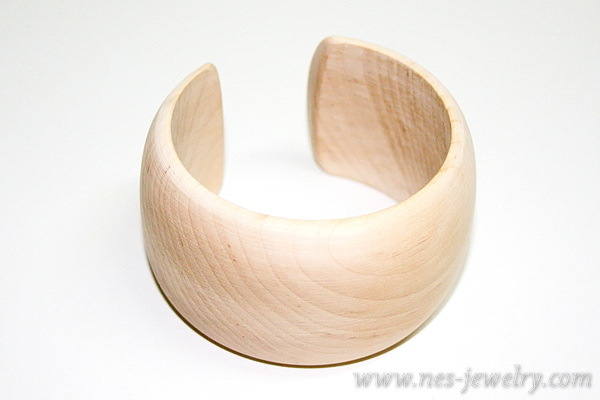 You can make your own wooden bangle! 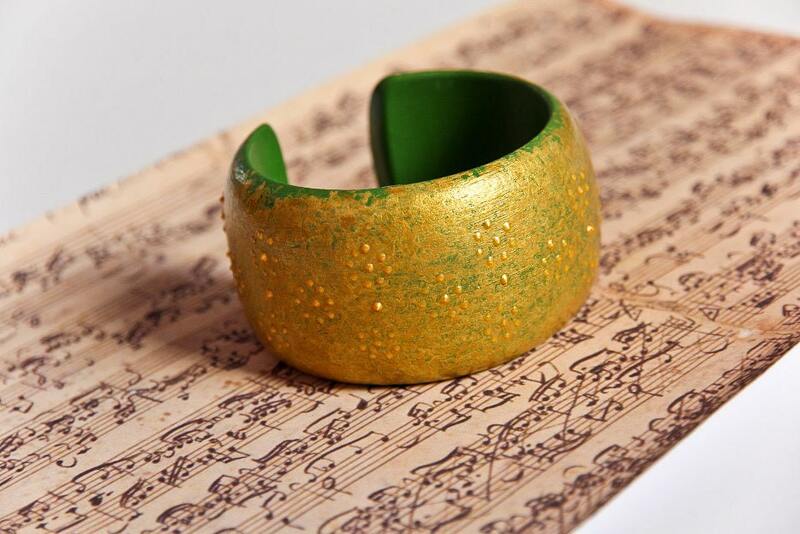 Buy unfinished wooden bangle and decorate it as you like; your can use paints, decoupage, cotton yarn, lace or fabric, rhinestones and any other medium. 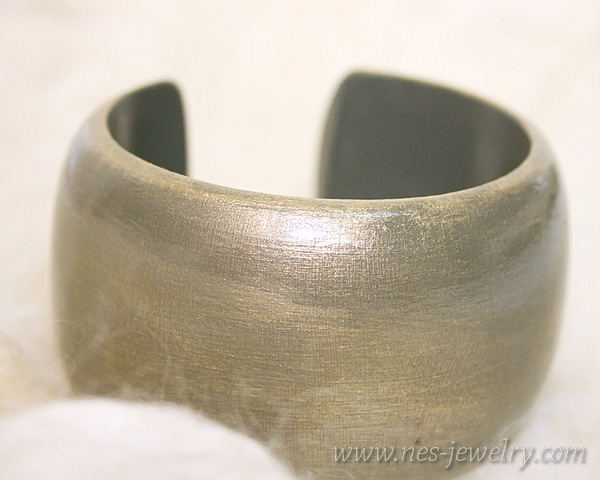 First, paint bracelet on both sides with olive green acrylic paint. Apply two coats, if needed. Apply one coat of golden acrylic paint outside. Be accurate on the edges! 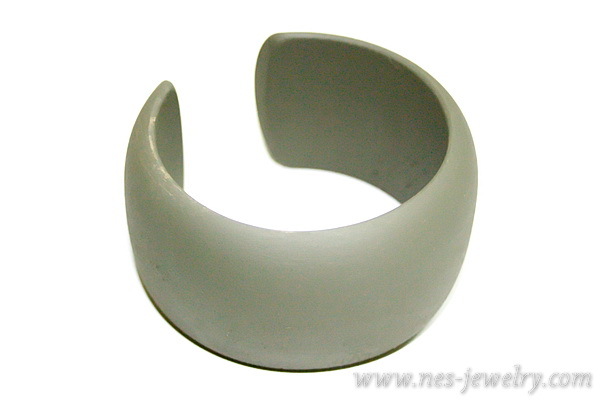 Leave the bracelet olive green inside. The coat of golden acrylic paint have to be as thin as possible. Use a paper towel to remove the excess paint, if needed. Properly treat all the edges with varnish. Let it dry for 1 2-24 hours before wearing! 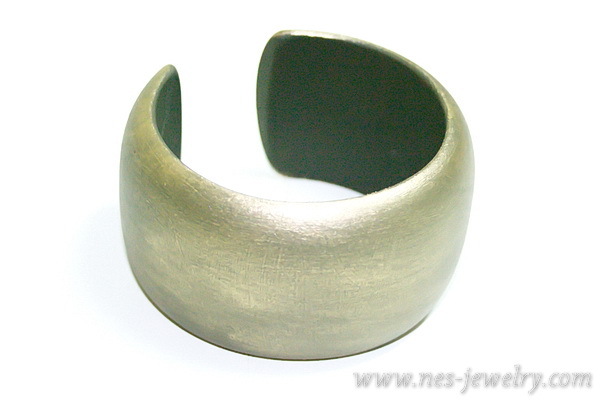 Also you can buy THIS bangle here! Thank you so much, Alecia!